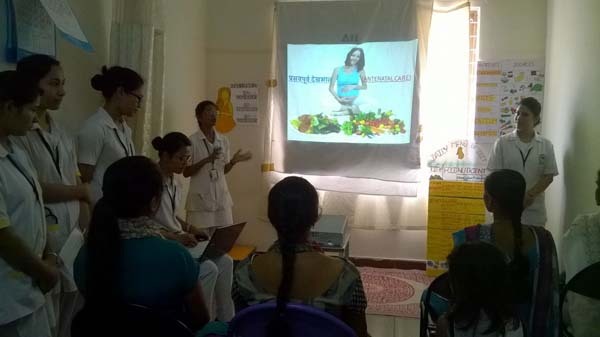 Programme was organized and conducted by department of OBG in nursing and III rd year B.sc Nursing students, VINS&RC on 6.04.2016 in obstetric and gynecology OPD under the guidance of Prof.(Mrs) Padmapriya,HOD, OBG Nursing Mrs.Menaga.P, Asst.professor,OBG Nursing. 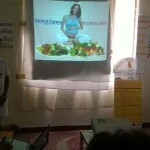 Around 15 pregnant mothers were actively participated in the programme. 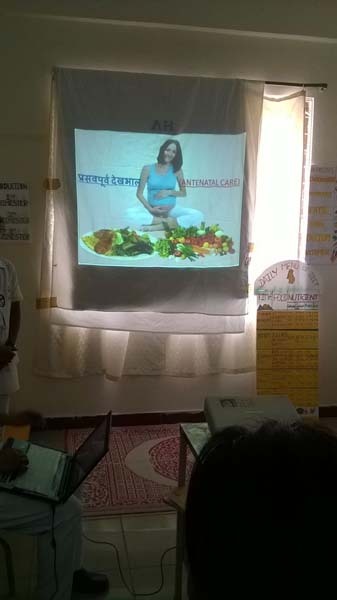 Health education aspects were: Antenatal diet, diet plan, exercises during pregnancy, personal hygiene, travel, medication, and healthy habits. It was explained in Hindi and Kannada. 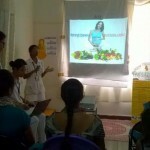 Programme was successfully completed with participants cooperation followed by refreshments. The department is very much grateful to HOD of OBG in Vydehi Hospital and Principal ,VINS& RC for their support and constant encouragement.